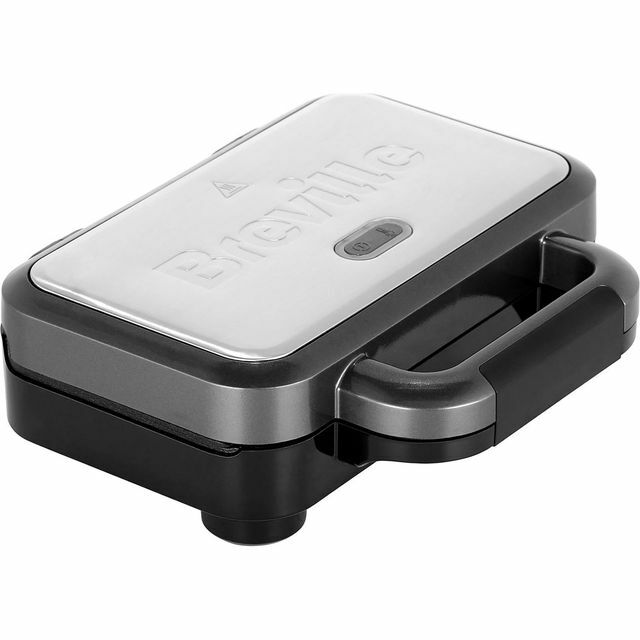 Create delicious meals with ease thanks to this sandwich toaster from Breville. It can make 2 portions at once and has an 850 Watt power output, so you can prepare a tasty feast in no time. You’ll always enjoy a mouth-watering, deep fill sandwich too, as the brilliant Cut and Seal system slices the toastie and stops the filling from leaking. Once your snack is ready to eat, the non-stick surface means you’ll have no trouble taking it out. And, the components are dishwasher safe, so they’re really easy to clean after you’ve finished your meal. This truly is a deep fill machine, it’s huge space for filling and pleasant fan design on the bread offers more space for creative fillings than the competition. it’s dishwasher safe removable plates and wipe clean stainless steel finish make cleaning up super simple. Cord storage means it can be put away till you crave a toasted sandwich again. I can definitely recommend this. Looks classy. Makes classy toasties. The deepest fill since Phil Collins. Great sandwich toaster, the only reason it is not 5* is because the clips that lock the machine and keep the plates in place feel a little bit on the flimsy side, and feel like they might break quite easily. Fab Toasties and Easy to Wash! So far just the one set of toasties, but they were very tasty - just the right amount of cooked/browned. We bought the waffle plates too and I was blown away by how not-rubbish the waffles were at first attempt - using the recipe book provided, they were light and golden and hot and fluffy and crunchy and everything a waffle should be! Pop the plates out, throw them in the dishwasher, all tidied - bar maybe a little wipe for any splashes. Really pleased with it so far. Good quality item. Like the fact that the plates are removable for washing.